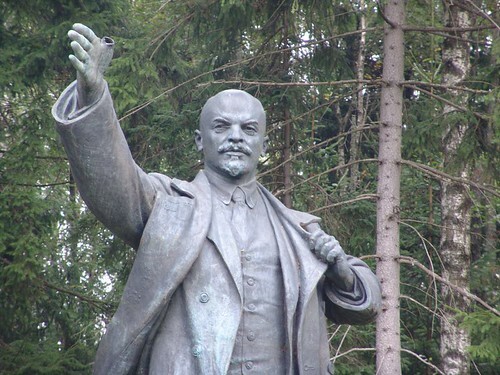 The very first Earth Day occurred on Lenin's 100th birthday! Coincidence? "The nationwide event included opposition to the Vietnam War on the agenda, but this was thought to detract for the environmental message. 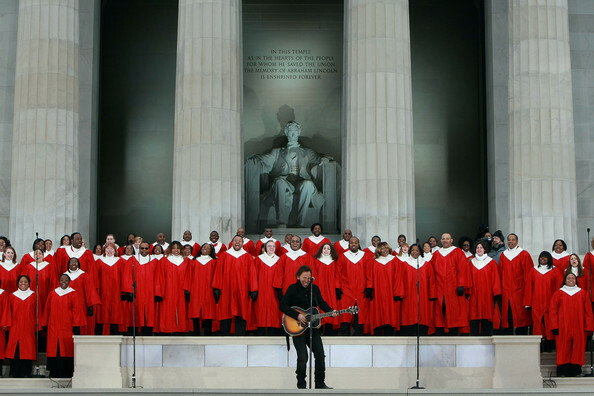 Pete Seeger was a keynote speaker and performer at the event held in Washington DC." The New York Times has now corrected  a "smear" about Pete Seeger being 50 years too late in denouncing Stalin. Thanks to the intrepid research of Times reporter Daniel J. Wakin, the record has now been set straight. 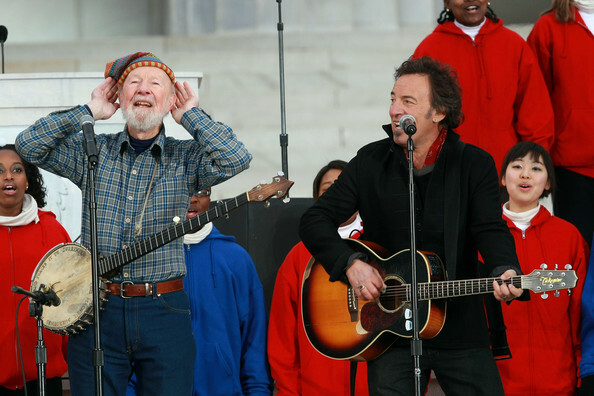 Pete Seeger was only about 40 years too late in criticizing Stalin. 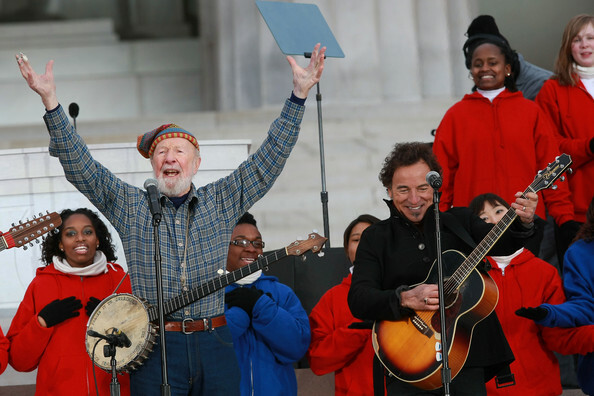 So, wondering what the Communist "icon" Pete Seeger is up to these days? "The Popular Front sought to enlist Western artists and intellectuals, some of them not party members but fellow travelers, to use art, literature, and music to insinuate the Marxist worldview into the broader culture. The murals of Diego Rivera, the poetry of Langston Hughes, the novels of Howard Fastall exemplified this approach. Its an irony that communists should seek to change the culture, of course, since Marxism holds that culture is merely a reflection of underlying economic structures, whose transformation will bring about capitalisms inevitable collapse." Earth Day used to be on the first day of Spring, but the commies moved it. "Rising concern about the environmental crisis is sweeping the nation's campuses with an intensity that may be on its way to eclipsing student discontent over the war in Vietnam...a national day of observance of environmental problems...is being planned for next spring...when a nationwide environmental 'teach-in'...coordinated from the office of Senator Gaylord Nelson is planned...."
"Neighbors below Einhorn's flat had been complaining for some time that that they were detecting a terrible stench coming through the floorboards, accompanied by an occasional oozing of putrid brown matter that stained their ceiling. They tried to paint it out and sanitize the smell with disinfectants. But, the odor increased. And the oozing continued. When the building foreman investigated the problem, Einhorn refused to let the man check the closet from which the smell seemed to be coming. "(Einhorn) launched (Philadelphia's) Earth Day celebration. Ran for Mayor of Philadelphia as a self-proclaimed Planetary Enzyme, a catalyst for global change." Worshiping Creation instead of its Creator. Burn a tire in honor of Earth Day. Keep your lights and heat on! I’m mowing the lawn. A big riding mower. Then my 12 year old will trip with a littler mower and my 10 year old will use the gas powered string trimmer for the rest. Good for you. Run your car and blast your car radio so you have some music at the time.